Love My Dog Resort founded the Diamond Dog Club August 1st 2015 to assist shelters in finding homes for dogs over 7 years of age. Dogs that are so deserving, but are often overlooked. A senior dog just means years of experience at friendship. Diamonds are forever. 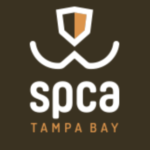 Love My Dog Resort reached out to the SPCA Tampa Bay, the Humane Society of Pinellas and the Friends of strays to form a partnership and to support their adoptions efforts. For all dogs over 7 years of age at their shelters, Love My Dog Resort funds an advanced health screening. To anyone that adopts a dog from the Diamond Dog Club, We give their new family member two weeks of free daycare, 3 waterpark visits and a grooming at our resort. Together we have had amazing success! Our first year we had over 100 adoptions and are on track to surpass that number in the coming year! Spend less time training & more time enjoying: Older dogs are almost always housebroken. You know what you’re getting: Senior dogs are fully grown and mature; so you know exactly what type of dog you’re getting in terms of size and temperament. Older really IS wiser, in many cases: Mature, obedient dogs are generally more patient, more “knowledgeable,” less rambunctious, and more disciplined. Older dogs are accustomed to normal everyday schedules: Want a good, uninterrupted night’s sleep? 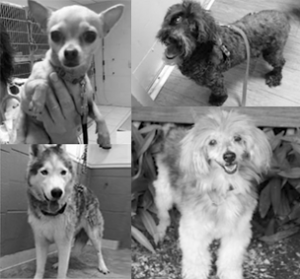 With older dogs, bathroom breaks, feedings, and playtime are usually reserved for daytime. No gnaws, nips, or bites: Older dogs have already gone through the teething phase, sparing your dining room furniture and best pair of shoes. Older dogs can sometimes be trusted for longer periods alone. Senior Dogs and Teens: Pets are a very positive interaction for teens, providing love and emotional support as well as teaching responsibility. Helping teens express emotion.